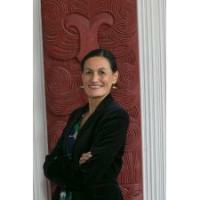 Marama holds a PhD in Anthropology from the University of Auckland. She is a Senior Research Fellow and Acting Director at the James Henare Māori Research Centre. Marama also advises on elderly health projects in the School of Population Health. Her research is primarily concerned with debates and critical challenges in social anthropology where she focuses on the cultural specificity of iwi-Māori and their unique sense of place and belonging in New Zealand. What distinguishes Marama nationally as a social scientist is her specialization in water, environment and indigenous rights. She currently holds a Royal Society Marsden Research Grant, is on the Board of the Association for Social Anthropology in Oceania and is a Council member of the Journal of the Polynesian Society, New Zealand’s oldest scholarly journal. Her book Tūpuna Awa: People and Politics of the Waikato River, was published by Auckland University Press in 2016. Marama was awarded a Visiting Chilean Research Fellowship in 2015 and has conducted research with scholars from Pontificia Catolica Universidad examining the impacts of increased privatised geothermal and hydro electricity generation on Mapuche who reside in the Araucania of Chile. She also has research collaborations with other University of Auckland scholars that involve improving the water quality of New Zealand Rivers and investigating the resilience of Maori buildings. Marama is from Turangawaewae Marae and is of Waikato and Ngati Maniapoto descent.